London is to become a Chinese currency dealing hub, the People’s Bank of China and the Bank of England announced today after agreeing on a Memorandum of Understanding which will be signed on Monday. In the memorandum of understanding, the two central banks set out clearing and settlement arrangements for the yuan (or renminbi) in London. London media reported today that after the signing, a London clearing bank for the Chinese currency will be appointed. Currently, approximately 62% of renminbi payments overseas occur in London, according to SWIFT data. In 2013, an agreement with Beijing established that in the West only London asset managers can invest directly in Chinese stocks and shares in renminbi. London is becoming a major hub for Chinese currency dealing. The Bank of England and the People’s Bank of China signed a 3-year currency swap deal in 2013 worth 200 billion renminbis. The arrangement allows the two central banks to swap currencies that can be used by companies to settle business in local currency instead of dollars. The International Finance Corporation issued a highly-sought after 1 billion renminbi bond in London earlier this month, the first by any international institution. The International Finance Corporation is the private sector part of the World Bank. British Prime Minister David Cameron and Chinese President Xi Jinping discussed the cooperation between the two central banks on March 25th in a bilateral meeting in the margins of the Nuclear Security Summit in the Netherlands. 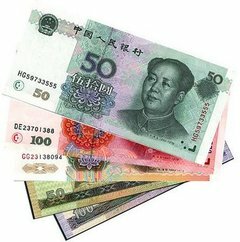 The United Kingdom was the first G-7 national to agree a renminbi swap line with the People’s Bank of China, and the deal on settlement and clearing arrangements, the first outside Asia, “is the logical next step to giving the international market in London the confidence to expand their RMB activities. 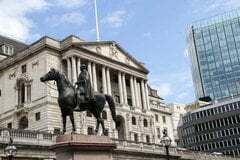 A London clearing bank would complement the main clearing and settlement infrastructure in Hong Kong by supporting efficient transfer of funds within the Western time zone,” the UK Treasury wrote in a press release. 62% of Chinese currency transactions outside China occur in London. Since making Hong Kong its first offshore trading center for the Chinese currency in 2009, several major financial centers have competed to help Beijing, making the yuan a serious contender to the dollar for global supremacy. Singapore and London have emerged as China’s favorite candidates, with Kuala Lumpur, Luxembourg, Sydney, and Tokyo also positioning themselves for a place. The renminbi (yuan) has climbed rapidly up the global currency ladder. According to the Bank for International Settlements, it is currently the 9th most traded currency globally. It is still a very long way behind the dollar. Government controls hinder the Chinese currency, making it hard for businesses to pay directly in yuan for cross-border trade.